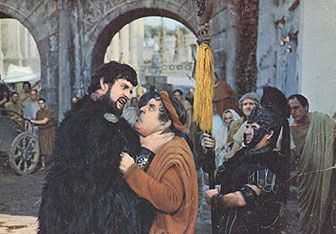 Based on the comedies of the ancient Roman playwright Plautus, it tells the story of a slave named Pseudolus and his attempts to win his freedom by encouraging the romance between his master's son Hero and a young virgin named Philia who is owned by Marcus Lycus, a dealer in courtesans, and promised to a swaggering soldier named Miles Gloriosus. The humor is broad and bawdy and fast-paced. A Funny Thing Happened On The Way To The Forum” takes comedy back to its roots, combining situations from time-tested, 2000 year old comedies of Roman playwright Plautus with the infectious energy of classic vaudeville. 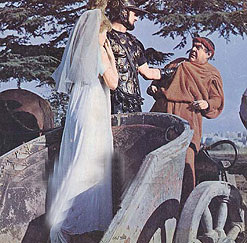 The result is a non-stop laugh-fest in which a crafty slave (Pseudolus)struggles to win the hand of a beautiful but slow-witted courtesan (Philia) for his young master (Hero), in exchange for freedom.